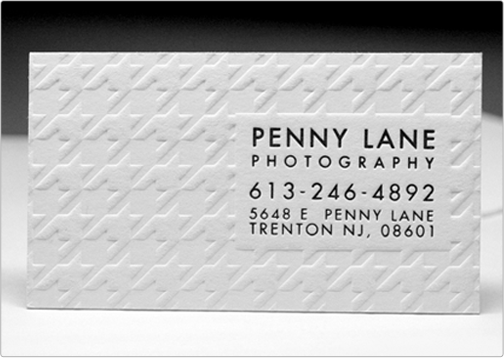 This Cotton Card was designed for a photography company out of Trenton, New Jersey. The design includes a clean debossed pattern within the soft cotton stock to form a truly minimalist and classy business card. This business card design contains a one color print with blind debossing.